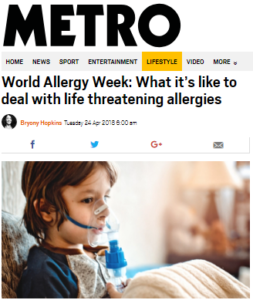 My child could die by eating food he is allergic to. My child could die by eating food he is allergic to and I didn’t prevent it. This is the constant cycle of food allergy anxiety that circles around in my head when I worry about J. I am always on high alert, worrying about the ‘what ifs’ and conscious about the consequences of a small slip up. 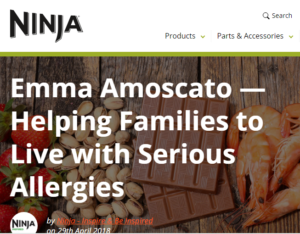 Keeping our children safe is every parent’s top priority and when you are dealing with life threatening food allergies this worry is constantly present. It nags at you when you are reading labels in the supermarket, shouts when a child enters soft play with an ice cream and screams when you leave them in the care of others. 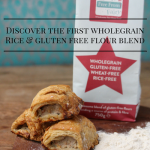 Taking practical steps to try and alleviate the risks can help to calm some food allergy anxiety. It gives me back a small sense of control and makes me feel like I am doing something to protect J. 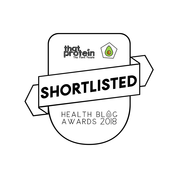 This might be researching a restaurant, wiping down surfaces, making others allergy aware or preparing alternative food for a gathering. I have been very lucky with understanding friends and family who are always looking out for J. Having a support network is essential and I have also found a lot of help online. 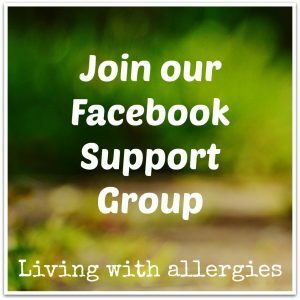 There are some great facebook groups – CMPA support and Allergy Buddies are a couple – and Anaphylaxis Campaign also run support groups around the country too. One thing I am guilty of, perhaps it’s the journalist in me, is over researching any problem. Some information is helpful and empowers you, like research from Allergy UK, but constantly digesting too many stories also fuels the fear factor and puts the risk out of perspective. So I am trying to limit my intake. Being on high alert all the time is tiring and not always healthy. It is important to try and find time to relax, destress and enjoy yourself. Have a bath, go for a walk, read a book or do something to switch off. 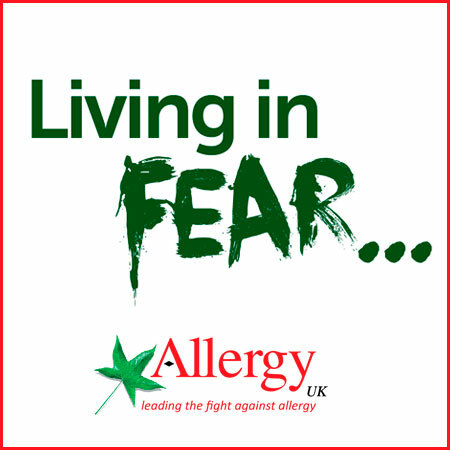 If you feel food allergy anxiety creeping in, refocus, concentrate on your senses and set aside a specified time to address your worries. 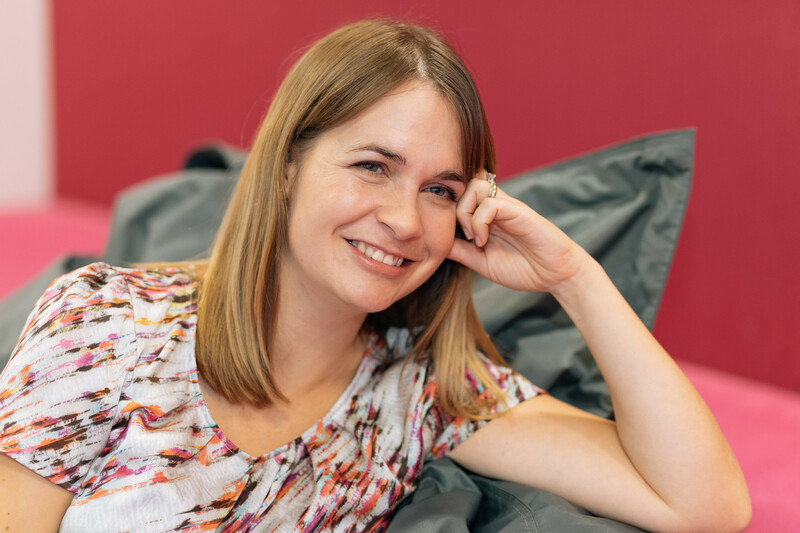 Since baby A’s traumatic birth I was referred for some Cognitive Behavioural Therapy which I have found very useful. Not only is it good to feel you have someone you can offload to and a regular slot to address your anxiety, it also teaches you practical techniques to deal with your feelings. 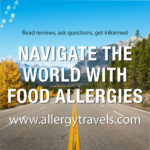 How do you deal with food allergy anxiety? Hi I have a lot of food allergies the worst ones that I am anaphylactic to are dairy, peanuts, tree nuts and peas. I don’t go out to eat anymore as its hard to trust places when you tell them you have allergies especially when you say you are serverly allergic to dairy and they say oh so you can’t have eggs, it’s really worrying. I have developed ocd with cleaning in the kitchen because of the anaphylactic reactions that I have had. I know my mam finds it hard to deal with sometimes always worrying about food and checking everything at least twice while out food shopping. It is really hard to trust places and shocking at some of their knowledge. J is only little now but already has lots of questions and talks about things making him poorly and I don’t want to pass any of my anxiety on to him. Twice now my daughter has ended up vomiting after eating out in restaurants despite new regs and discussing allergies. It’s so frustrating and upsetting. Not to mention that it makes something that should be a treat, a nightmare! We had a bad experience before Christmas and just when you think you’re doing well, it makes you nervous again. I don’t want to stop eating out but sometimes it doesn’t seem worth it. Thanks Carol. I think it’s like any difficulty, you find your own way to deal with it and try to not let it take over your life. I think your spot on about the relaxing and the not looking at too many news stories. I find it quite upsetting to read about bad cases of life limiting urticaria so I have to be careful about limiting the amount I read. It won’t change anything and just increases my sense of dread. Hello I can totally relate to your article. My daughter has been diagnosed with food allergies for 18 years, would love to say I have not passed anxiety on to her but that would not be true I do believe kids with food allergies become very anxious young adults. She is 20 now and cooks and bakes everything, she started a blog call NutritionallyNicole.com Which is like an outlet for her anxiety. She is home most of the time, I think it’s how she avoids social situations involving food. Keep writing and helping others. Thanks Susan. I think taking control of things, through understanding food or for me by writing, helps with the anxiety. Her blog looks great! You must be very proud of her.